Are You Experiencing a Blocked Drain? Call Modern Era Plumbing & Gas Solutions your blocked drain experts. As maintenance plumbers we not only unblock drains but clean along the entire length of the main drains to ensure your system runs at its full potential. 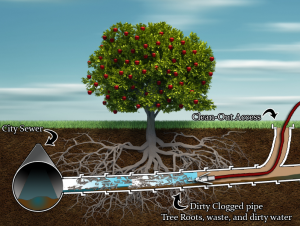 Our Hydro Jet Drain Cleaner uses high pressure water and flow to cut through tree roots and other stubborn blockages in both sewer and storm water drains, whilst simultaneously intensively cleaning and descouring the pipe. Modern Era Plumbing & Gas Solutions can Hydro Jet all pipe types and sizes from bathroom drains through to mainline street mains. Common problems which cause blocked drains are tree root intrusion, cracked, collapsed or misaligned drains, sanitary napkins, excessive paper usage, fats and grease in drains. Time is important when it comes to sewer work, you need help immediately when your drain is blocked up. Hydro Jet Drain Cleaning System — What is it? The hydro jet cleaning system is an efficient and reliable method of clearing blockages in drains, pipes and sewers. It uses a high pressure jet of water (1500-4000 psi depending on the diameter of the pipe) to purge the piping. It is an eco-friendly, cost effective, and safe system, which is capable of clearing most blockages, and can keep pipe systems clear for longer. The Hydro Jet System uses specialty nozzles to cut roots, lift and remove grease, and scour rust sand gravel and any organic materials obstructing your drain. This system is suitable for domestic and more heavy duty commercial applications, such as in restaurants, hospitals and construction sites. What are the benefits of choosing a Hydro Jet to clean your drains? They can very easily and effectively cut through even the toughest roots and debris. Also removing built up mineral deposits, hydro jetting is the most efficient from of drain cleaning out there. One of the major benefits of using Hydro Jet over any other form of drain cleaning, is that it has the power to remove almost any obstruction in your pipes. For example, it pushes any kind of debris or mineral deposits out of the way and clears the way for water to flow freely through the pipes. It also removes any excess build-up, grease, rocks, soap, or scum that often comes from dishes or laundry. How effective is Hydro Jet Drain Cleaning System? It is our weapon of choice when it come to substantial blockages, so contact us, and let us do the hard work in the easiest, most effective way. We guarantee friendly, professional service, and provide a warranty of our workmanship against subsequent blockage. When it comes to the cost of the job, we provide a concise quote so that you are aware of your expense from the word go, with no hidden costs. 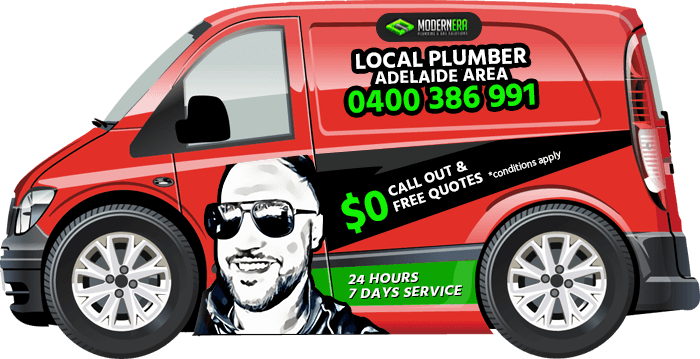 If you have a blocked drain and you are looking for a Plumbers in Adelaide, Daw Park, Burnside, Unley, Colonel Light Gardens or Black Forest. You can rely on us..